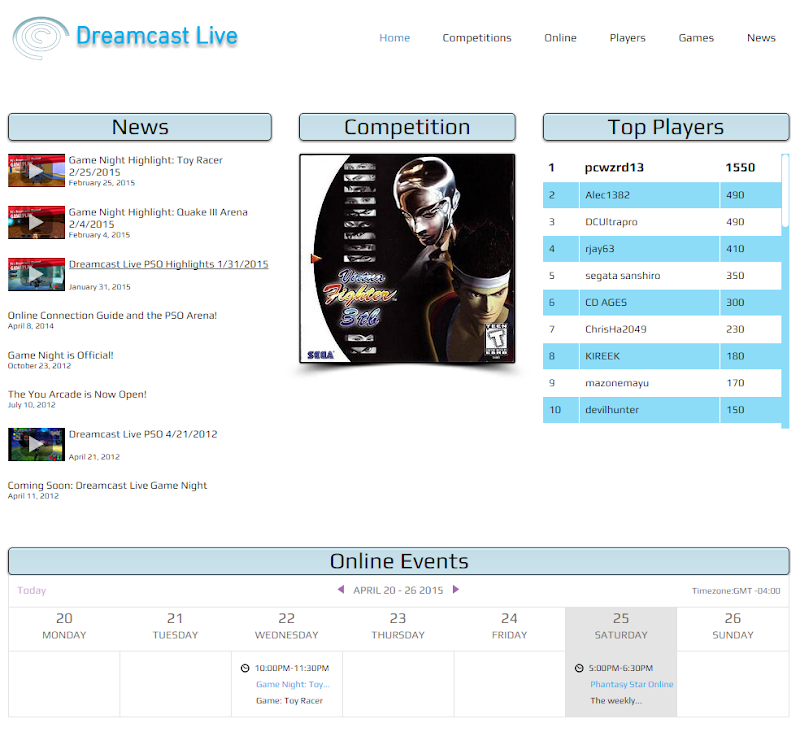 News	Forums Dreamcast Game Contest Dreamcast Live New Website! Today I'm launching the brand new Dreamcast Live website! It's much improved over the old one with a brand new look and feel. Dreamcast Live has evolved a lot since it first launched in 2011 and I felt it had outgrown the old website. Dreamcast Live started as simply a competitions website but it's so much more than that now and I feel the new website does a better job at showcasing everything Dreamcast Live has to offer. Let me know what you think! Feedback is always welcome! I'm hopefully going to start it soon. I've just been really busy lately. The game will likely be Xtreme Sports. I'm new here and it's my first post. New website for the Dreamcast browsers! Chu Chu Rocket Website Is Back Online! Inspired by Jials work I decided to revive the Chu Chu Rocket Site. It is now fully restored for both NTSC and PAL versions.